For the Amish of Pontotoc, Mississippi, faith can open minds—and hearts—to create surprising bonds for a lifetime . . .
Independent-minded Leah Gingerich has always been outspoken. And even though she is now a progressive Mennonite, she's rediscovering the joys of family traditions back in her Amish hometown. Yet she can't help but clash with her handsome new Amish neighbor, Jamie Stoltzfus. He's too hard-headed and old-line to see that his traumatized young nephew, Peter, needs faith and help—or that a woman who stands up to him may be what he needs to heal . . .
After a devastating tragedy, Jamie moved to Pontotoc with his nephew for a fresh start. Holding fast to his beliefs is the only way he feels he can aid Peter—and himself. But somehow, Leah's freethinking ways and feisty challenges are sparking a happiness he's never felt before. Soon, Jamie can't imagine his life without her. But are their differences ultimately too great to overcome—or can love bridge their way to a future together? I'm a wife, mother, and bona fide Southern belle. Published author, expert corn bread maker, and Squirrel Princess. I live in Tulsa, though I was born in Mississippi. I moved to the Sooner State when I was seventeen and met my soul mate and best friend not long after. I've retained a little of my Mississippi accent though most people think I'm from Texas. (?) Rob and I have been married for over twenty years and have a son--a mom proclaimed prodigy, of course! I love homemade tacos, nail polish, and romance novels--not necessarily in that order. I'm a big fan of country music, a staunch proponent of saving the Oxford comma, and I'm shamefully obsessed with all things Harry Potter. I believe that God is love. I guess that's why I adore romances. I have always been intrigued with the Amish culture, their gentle ways and slower-paced lifestyle. (And I love, love, love the fact that they stay married for their lifetime.) But until recently I never thought to blend this interest with my penchant for romance. Okay, okay, I'm a bit old-fashioned and even enjoy the gender roles that are present in this culture. I love to cook and take care of my family. Yes, that's me June Cleaver with a laptop. Favorite movies--(besides HP) French Kiss, Maid of Honor, A Lot Like Love, Just Married, and Sweet Home Alabama. Oh, and Miss Congeniality, Sabrina (both versions) and a 1940's movie called Dear Ruth. If you haven't seen it, you should! A-dorable. Anything with Doris Day and most all of Marilyn's and Audrey's. I loved the second book in this series, and yes you can read alone, but I enjoyed being back with this family that I have really come to know through the words of the author, Amy Lillard. The first book was Hannah’s and we continue with parts of her life here, but this story is mainly about her twin Leah. We walk in Leah’s shoes through the eyes of the author, and at time you’re going find your world upside down. 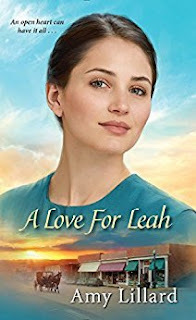 Loved the sparing that goes one between Leah and new comer Amish man Jamie, and you wonder how these two could even be in the same room with each other, but then you meet Peter, a young boy who has suffered so much tragedy in his short life. This book will keep you page-turning, one very Mennonite and clinging to her new church, and the other set in his Amish ways, how can the two ever get together or should they even try. A don’t miss book by this talented author. I received this book through the Publisher Zebra, and was not required to give a positive review. For the past year, Chloe St. John has been working as a K-9 cop with her German shepherd partner, Hank. After being dumped by her fiance for another woman, Chloe has decided that Hank is just about the only male she likes. She's over the whole romance thing and focuses her attention on doing her job. Because a serious case of human trafficking with connections to her missing cousin just landed in her lap. 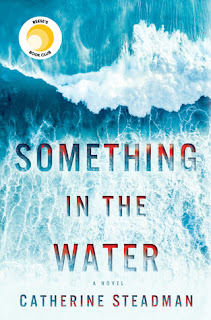 When US Marshall Blake MacCallum's daughter goes missing, he's ordered to kill the judge he's protecting and tell no one about his daughter's disappearance or she will die. 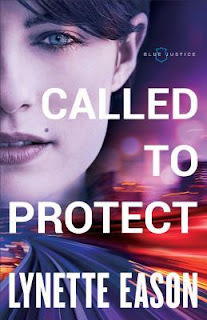 Blake races against the clock to rescue his daughter while Chloe and Hank are asked to be a part of the task force assembled to bring down the traffickers. Chloe finds herself attracted to the silent, suffering man, but thanks to her previous bad judgment, she wonders if she can trust him. And can Blake trust himself around this firecracker of a woman? Bestselling author Lynette Eason warns readers to buckle in for a fast and furious ride that will have their hearts pumping from the very start. Lynette Eason grew up in Greenville, SC. She graduated from the University of South Carolina, Columbia, and then obtained her masters in education from Converse College. 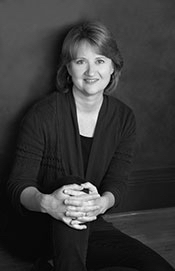 Author of twenty inspirational romantic suspense books, she is also a member of American Christian Fiction Writers (ACFW) and Romance Writers of America (RWA). In 1996, Lynette married "the boy next door" and now she and her husband and their two children make their home in Simpsonville, South Carolina. I just finished the second book in the Blue Justice series, and a warning, once you turn that first page the nonstop action is going to make you keep turning and gasping, as the shoes start to drop. This one is just as good as the first, and we are with the St. John family, and mainly Chloe and her K-9 Hank, but other members of this police family are here. The book deals with the tough subject of human trafficking and we meet it first hand when a member of their family goes up missing. While the author is giving us different family relationships here, and there is more than one, we deal with murder as a way of shutting someone up, there doesn’t seem to be any regard for human life, and when the final move is shown it holds many surprises. A don’t miss book, with a final tease at the end! I received this book through Net Galley and the Publisher Revell and was not required to give a positive review. For years Marie Bachmann thought of herself as the "good" daughter. She was the most loving to their mother, the most dedicated to their Amish way of life. But when a Mennonite farmhand, Gordon Martin, shows interest in her she can't help but be flattered--until her mother sends her off to Florida. While there, Marie begins spending time with bad-boy Eli Jacob, the bishop's son from back home. When Gordon shows up in Florida to volunteer in a homeless shelter, her life becomes even more complicated. At the same time her aunt begins telling her of a Civil War-era ancestor and the woman's uncommon bravery . . . a story that begins to work at Marie's heart. Marie hopes returning home may simplify life, but Eli soon follows. As Marie grapples with whether she should court Eli or leave the church for Gordon, the story of Annie Bachmann shines a light on what God has for Marie's future. Even though I knew I wanted to write fiction by the time I was in the sixth grade, as I grew older I pursued other things, such as majoring in history and communications, working as a museum curator, then as a public relations specialist, and finally as a magazine editor. Once I finally started writing fiction, it was another ten years until I sold my first novel. Over thirty novels later, half of my stories are about the Amish, but I've also written stories set in France, Vietnam, and the U.S.—both historical and contemporary. No matter what I write, I aim to reveal truths about God’s love, beauty, and redemptive work in our lives. My goal is to connect more deeply to God, family, friends, and readers through my writing, and my hope is that my stories encourage others to deepen their own connections too. I've been married to the love-of-my-life for thirty-five years. We have four adult children, live in Portland, Oregon, and enjoy research trips, hiking in the Cascades, and hanging out with family and friends! What a great read from beginning to end, the author has us spanning decades, from current to civil war era. We are shown from one century to the next how things are different and yet the same. People in need, slavery, injury from war, homeless, the list can go on, and what do you do, follow your faith and help or stay in your own little world? In the past book, we saw what was going on with the farm in Lancaster, and in this book, we learn how the farm stayed in the family. The author also shows us how in this family the way that the Amish and Mennonites are connected. So many decisions that have to be made that will completely change the way these people live, and you won’t know until the end how everything works out. 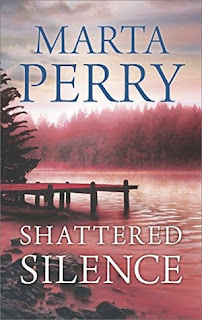 I received this book through Net Galley and the Publisher Bethany House, and was not required to give a positive review. Cold, calculating Clint Mordan isn’t convinced Rachel is as innocent in her ex-husband’s schemes as she claims, but when her ex’s enemies target Rachel, Clint is driven to keep her safe. Maybe the terror in her beautiful eyes and the target on her back aren’t an act. But as his feelings toward her deepen, Clint realizes he’s the only one who can keep Rachel alive in a game where only the killer knows the stakes. 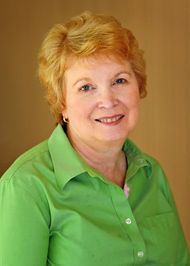 Marta Perry is a Pennsylvania-based author of over 35 novels, many of them inspirational romances. 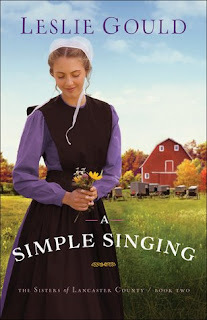 She uses her rural Pennsylvania life and her Pennsylvania Dutch heritage in writing her books, especially in her Pleasant Valley Amish series for Berkley Books and her new Amish-set suspense series for HQN Books. Marta and her husband live in a centuries-old farmhouse in a quiet central Pennsylvania valley. They have three grown children and six beautiful grandchildren, and when she's not busy writing her next book, she's usually trying to keep up with her gardening, baking for church events, or visiting those beautiful grandkids. 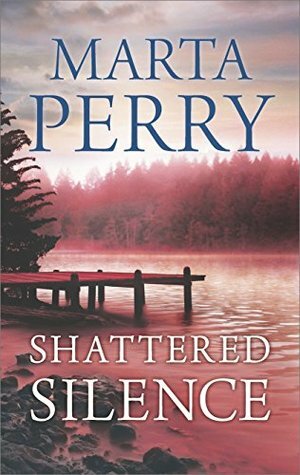 Shattered Silence is the third book in this series, and while each can be read alone, they are all equally good. This story the author has given us a divorced woman who soon finds herself in trouble, and this is all due to her ex-husband, and because of what happens is thrown into the company of a private investigator, and back to Echo Falls, her sanctuary and home to her Amish Grandparents. There are so many bombshells here and most you won’t see coming, so be on alert, and hope for justice to prevail. Once you turn the first page you will be hooked and looking for answers, just what is going on, and how will this impact an ex-wife? I received this book through Net Galley and the Publisher Harlequin, and was not required to give a positive review. Write Now Literary is pleased to be coordinating a blog tour for Sheryl Grace, author of King, Duke & Prince. 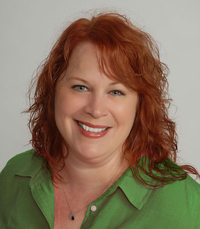 Sheryl Grace is a Licensed Professional Counselor and Louisiana native currently residing in North Texas. Her debut novel "He Calls Her Blue" has received positive reviews. Sheryl is also the co-host of the award-winning internet radio show, The Authors Lounge. “Hi, I just came over to introduce myself. My name is King” He said as he held out his tone and muscular arm in her direction to shake her hand. Still under his allure, she did manage to reach out her hand to shake his and stated “Nice to meet you, I’m Lauren” she stated. “Thank you again for the drink” she said politely while looking intensely at his eyes. “You are welcomed, Beautiful” He said with a deep voice that resounded in her soul and made her tingle inside although she tried all she could not to show it. He followed up with the sexiest smile she had ever seen. This is one tall glass of chocolate milk better yet Kahlua, she thought. SCIENTISTS WARNED IT WOULD HAPPEN. Meteors devastated the Earth. World Governments developed plans to help surviving citizens. The United States disbanded and salvageable land was divided into four quadrants—North, South, East, and West—governed by The Remnant Council. Struggling to survive, seventeen-year-old Ava ends up in juvenile detention, until she is selected for a new life—with a catch. She must be injected with an experimental serum. The results will be life changing. The serum will make her better. To receive the serum, Ava agrees to join a program controlled by ISAN, the International Sensory Assassin Network. While on a mission, she is abducted by a rebel group led by Rhett and told that not only does she have a history with him, but her entire past is a lie perpetuated by ISAN to ensure her compliance. Unsure of who to trust, Ava must decide if her strangely familiar and handsome captor is her enemy or her savior—and time is running out. “Incredible.” The word barely left my mouth. Something flashed. I caught it with my right hand, then another projectile with my left. Again, my reflexes had taken over and when I looked down, I’d caught two golf balls. I gawked, trembling. The hair on my arms rose. “Like I said, fast reflexes.” His lips spread in satisfaction. I rolled the golf balls over my fingertips. I imagined the balls colliding with my face. The thrill of what I had done—there was no denying it made me feel amazing. I shivered, not just from the cool draft from the vent, but the thought of being an assassin, even if my victims were criminals. Could I really do it? Trained or no. My mother’s last words echoed in my mind. When life shoves you down, you get right back up. Be strong. Be brave, Ava. Be someone important. Oh, Mom, what do I do? I feel so alone and I’m so scared. My chest caved in. I wanted to burst into a sob, but I slammed it back down. As tears pooled, thoughts of my mother twisted the dagger in my heart. My heart leaked, bleeding from the mountainous pain of missing her, needing her guidance. I wouldn’t be in juvie, desperate to get out and resort to being an assassin if she were alive. Having no choice, I succumbed to the reality of my life and the cards I had been dealt. I pushed back my shoulders and held up my chin. Boring my eyes into his, I gave him an answer that would change my life forever. I will be brave, Mother. I will become someone important. International Bestselling/Award Winning Author Mary Ting/M. Clarke resides in Southern California with her husband and two children. She enjoys oil painting and making jewelry. Writing her first novel, Crossroads Saga, happened by chance. It was a way to grieve the death of her beloved grandmother, and inspired by a dream she once had as a young girl. When she started reading new adult novels, she fell in love with the genre. It was the reason she had to write one-Something Great. She also toured with Magic Johnson Foundation to promote literacy and her children’s chapter book-No Bullies Allowed. Open only to those who can legally enter, receive and use an Amazon.com Gift Code or Paypal Cash. Winning Entry will be verified prior to prize being awarded. No purchase necessary. You must be 18 or older to enter or have your parent enter for you. The winner will be chosen by rafflecopter and announced here as well as emailed and will have 48 hours to respond or a new winner will be chosen. This giveaway is in no way associated with Facebook, Twitter, Rafflecopter or any other entity unless otherwise specified. The number of eligible entries received determines the odds of winning. The giveaway was organized by Kathy from I Am A Reader and sponsored by the author. VOID WHERE PROHIBITED BY LAW. Write Now Literaryis pleased to be coordinating a blog tour for Patricia A. Bridewell. This tour will run July 23- Aug 3, 2018. Book your own tour here. Reading and daily journal entries were the catalyst to Patricia’s first novel, Reflections of a Quiet Storm, published by an independent publisher in 2009. 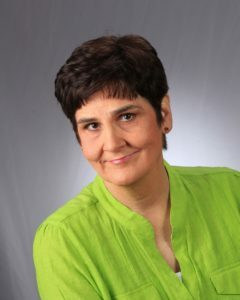 An avid reader, her previous published work includes two books, multiple short stories, monthly health care columns for an online magazine, and several health care articles for a local newspaper. She also enjoys reading Women’s Fiction and Romance novels, which occupy many seats on her bookshelves. Patricia is a Family Nurse Practitioner and a Psychiatric-Mental Health Nurse Practitioner, she holds Adjunct Nursing Faculty positions at two universities. She is a member of the National Black Nurses Association/Council of Black Nurses – L.A., Sigma Theta Tau International Honor Society of Nursing, Black Nurses Rock, California Association of Nurse Practitioners, and International Black Writers & Artists. Patricia’s church home is Greater Zion Church Family in Compton, CA. She considers music, reading, and prayer as the keys to relaxation and creativity, and she loves spending time with her family. Patricia’s short story appears in the Brown Girls Books Anthology Single Mama Dating Drama, an AALBC two-time best-selling book. Two Steps Past the Altar is her third and latest novel. She is currently working on her fourth novel. Pharmaceutical Sales Representative, Sasha Edmonds, is a motivated high-flyer with a stellar track record. Being the top sales representative and having a fiancé who loves her is more than she could ever imagine. Her life spins in another direction when she discovers that her mom requires a life-saving medication and her fiancé, Damien, may be cheating. Devastated, she breaks off their engagement. Amid healing, she becomes captivated by Wesley, a wealthy pharmaceutical businessman who may hold the cure for her mom, career, and wounded heart. Romance transforms into a love triangle, surfeit of lies, blackmail, and deception. A story of love, trust, restoration, and forgiveness. Can a girl aware of her father’s past indiscretions, let go of her uneasiness in her relationship and engagement? You will be asking yourself this and other questions. What a ride you are about to embark on, Sasha Edmonds is one smart, beautiful woman, and is at the top of her game at her profession, but can the same be said about her personal life. Loving enough to trust, and the author has us guessing just how this girl should go, and where she is going to end up. Once you start reading you will be quickly page turning. I received this book through Write Now Literary Book Tours, and was not required to give a positive review. A New Book by A Favorite Author!! Abigail Nash leads a lonely existence. Her mother died giving birth to her, her father's business dealings took him away more often than not, and her ailing great-aunt, unable to provide much in the way of companionship, was a lack-luster guardian at best. So when her dear friends offered to launch her into London society, it appeared Abby's life was taking a turn for the better, with suitors and social engagements aplenty. When she marries a proclaimed darling of the ton, it seems she will at last settle into the life of her dreams. But appearances aren't always what they seem, and dreams often become disappointments. Just months into her marriage, Abby finds herself widowed, penniless, increasing, and determined to never hope again. But when her late husband's brother, the Earl of Brigston, attempts to thaw the numbness surrounding her heart, Abby must decide if she has it in her to risk another chance at happiness, knowing the odds are not in her favor. 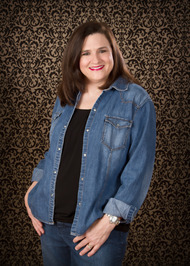 Author Rachael Anderson A USA Today bestselling author, Rachael Anderson is the mother of four and is pretty good at breaking up fights, or at least sending guilty parties to their rooms. She can’t sing, doesn’t dance, and despises tragedies. But she recently figured out how yeast works and can now make homemade bread, which she is really good at eating. 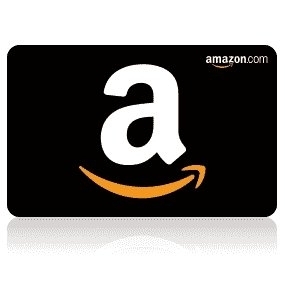 $25 Amazon Gift Code or $25 in Paypal Cash Ends 8/31/18 Open only to those who can legally enter, receive and use an Amazon.com Gift Code or Paypal Cash. Winning Entry will be verified prior to prize being awarded. No purchase necessary. You must be 18 or older to enter or have your parent enter for you. The winner will be chosen by rafflecopter and announced here as well as emailed and will have 48 hours to respond or a new winner will be chosen. This giveaway is in no way associated with Facebook, Twitter, Rafflecopter or any other entity unless otherwise specified. The number of eligible entries received determines the odds of winning. Giveaway was organized by Kathy from I Am A Reader and sponsored by the author. VOID WHERE PROHIBITED BY LAW. Adrien Lockman is through with the political unrest and bloodshed in his home country of France, so he sets off to the Canadian territory’s mountain frontier, in search of a place where a man can live his own life in peace. The last thing he expects to find is a woman, half-starved and half-frozen in a shack nestled among the towering peaks of the great Rocky Mountains. Mary Standish thought she’d finally found a place where she was accepted, trapping with her husband for the Hudson Bay Company. But when he dies after a gruesome grizzly fight, she determines to carry on their work. After all, life in these remote mountains is better than enduring the scorn and snubs of “civilized” folk. When she’s forced to face a winter harder than any she’s endured yet, her stubbornness may just be the death of her. Until a stranger appears at her ramshackle door. 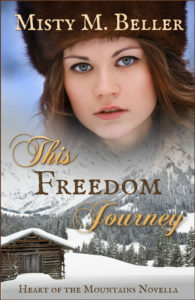 Adrien had planned to explore the mountain country all winter before he settles down to build a farm in the spring, but he can’t leave this woman to die in the elements. Even though she seems desperate for him to go. As Mary regains strength, she’s torn between wanting to save her dignity, and craving the respect of this man who’s slipped past her defenses. As the winter worsens, the truth becomes all too real—the only way they’ll survive is together. My book covers are one of my favorite parts of the creative process! With most of my books, I have the cover done early, usually as I’m first brainstorming the story. I love to have the heroine on my cover, and I work hard to make sure the woman on the front matches the heroine I’m envisioning for the story. That way I can describe her in the novel the way she looks on the cover. Sometimes I even work in the outfit she’s wearing on the cover! To celebrate her tour, Misty is giving away a grand prize of a $50 Amazon gift card!! Right from the first page the author had me and I felt that I was in the blizzard that was hitting the Canadian Rockies, and praising God when he stumbles on the Cabin. We are given a woman who has suffered incredible loss and a man who has left his home in France and put them together in the middle of the wilderness, and now we are about survival. I hoped from the beginning to the that these two-lonely people would end up together, but I didn’t know until the end how things would work out the way I wanted. I received this book thought Celebrate Lit Book Tours, and was not required to give a positive review. When a celery patch mysteriously crops up overnight in the Yoder’s field, it attracts some unwanted suitors competing for Naomi’s hand. Someone has grown an oversized patch of celery in Naomi’s family field and now she’s being accused of trying to “catch” a husband. “I’m getting married this wedding season, too!” Naomi Yoder blurted out before she could stop the words from pouring from her lips. Her sister, Ruthie, sucked in her breath and covered her mouth, then quickly recovered from the shock. Her best friend, Katie Troyer, squealed and pulled Naomi into a hug. “So he asked you, then?” Katie gushed, a giggle exploding from deep within her. Naomi nodded, enjoying the attention she was getting over her fake announcement. Naomi felt her blood run cold despite the heat of the morning sun beaming across the covered porch; her heart drummed against her ribs like a team of horses galloping at full speed. Of course, it was a lie, but she didn’t have much experience with lying the way Annie did; was it possible the girl’s bad habits were rubbing off on her? She hadn’t meant to say it, especially in front of Annie, who was the biggest gossip in the community. If only Katie hadn’t made her jealous with her own wedding news to Benjamin Mast. Not only had it made her worry that she was the last to make such an announcement from her age group, but Naomi just couldn’t take another minute of Annie’s or her sister’s teasing. Hearing the word spinster coming from her own sister’s mouth had caused her to overreact, and now it was too late to take it back. Not only would Annie tell the entire community about her lie, but she would also add her own lies to make the situation worse. Annie annoyed her with her constant invasive prying, just so she’d have something to gossip about. Well, this time, Naomi had gone and given her plenty to wag her tongue about. 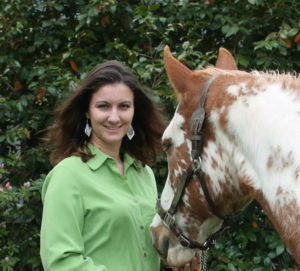 Samantha Bayarr, a former Paralegal, became the first Independent Author of Amish Fiction when she published Little Wild Flower on paperback in 2005. Since then, she has written over 130 Christian Fiction Books in Contemporary Romance, Historical Romance, Western & Cowboy Romance, Amish Romance, and Amish Suspense. She lives in an historic home in a small town in Florida with her husband, John Foster, who writes children’s books. Samantha illustrates her husband’s books, the first in the series entitled: Walla Walla and the Great Pirate Adventure. Nothing can be hidden that won’t be revealed. When her father dies, Katherine Levinson discovers her parents have kept secrets that render her happy childhood a farce. She and her gravely ill mother face eviction, and she has no choice but to appeal to the brother she’s never seen, the famous cattle baron, Rhyan Cason. Over her gravely ill mother’s objections, they move to Nebraska and the sprawling cattle ranch, Sollano. Instead of the warm welcome Katherine expects, she and her mother are met with whispers and scorn in the little prairie town near Sollano. Gradually, the sins of her parents’ past surface, and Katherine begins to doubt her very identify. With her brother busy with cattle rustlers and her mother too ill to be bothered, Katherine turns to Colt Holliman, a soft-spoken neighboring rancher, for comfort. Tired of waiting for the right woman to come along, Colt has promised to wait for Charley Ryder, an acclaimed female sharp shooter and equestrian acrobat with the Wild West Show, but it’s becoming clear Charley loves the show more than him. As his attraction to Katherine grows, he finds himself spiritually conflicted. How can he break from past commitments and follow his heart? Then unexpected danger strikes, testing Katherine’s and Colt’s faith in God—and each other. Elaine Manders writes wholesome Christian romance and suspense about the bold, capable women of history and the strong, dependable men who love them. Her stories twist, turn, and surprise, told by characters who aren’t afraid to show their love for God and each other. She grew up a small town country girl and now lives in Central Georgia with her fur baby. Besides writing, she enjoys reading, sewing, crafts, and spending time with her family. Back when I watched television, drama series were my favorite—Little House of the Prairie, the Waltons, the Virginian. I was caught up in the lives of these characters and looked forward to seeing what they were up to each week. For much the same reason, I enjoy writing episodic series. Intrigue under Western Skies, a blended genre, historical romantic suspense series falls in this category. Some of the characters show up in every book, with new ones added along the way. But the books can be read out of sequence since each one has a different premise and plot. 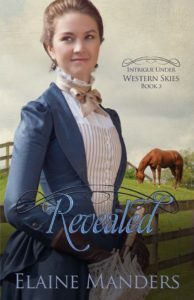 In Revealed, Book 3 of Intrigue under Western Skies, I wanted to give Colt Holliman, previously introduced as a secondary character, his own HEA. Also, it seemed the time to reveal what happened to Rhyan Cason’s mother, the woman who’d caused so much angst in the first two books. More importantly, it gave me the opportunity to introduce Katherine, the sister he never knew existed. Unexpectedly, my research led me to the history of show business, and how it developed through the Wild West shows of the nineteenth century. From that, a mystery evolved. The spiritual thread running through Revealed explores the emotions of a young woman who discovers blood relatives have been hidden from her. Can she accept and love her new family and forgive the sins of her parents? Maybe the greatest insight I gained from writing Revealed is that one can never trust his own heart without first trusting God. To celebrate her tour, Elaine is giving away a grand prize of a $50 Amazon gift card!! This book does not have a dull moment, and just when you think things are calming down, hope! This is the third book in this series, and the first that I have read, now I want to read the others, but although there were a few instances where things were mention, I did not feel lost. The author has given us Katherine, a young woman that was torn from the world she knows when her beloved father dies, and then she finds out that her life was a lie, wow! What a tangled web, and the bombshells kept dropping. This is just a taste of what happens here, and yes, she is rescued by a brother she doesn’t know, but that is just the beginning, and we see how these people wear their faith, and share their love of God. Don’t get too comfortable, because the author keeps us on the edge of our seat, for a great read! I received this book through Celebrate Lit Book Tours, and was not required to give a positive review. Sharon Lindsay is a woman who reads the Bible and sees the drama of the ancient stories like vivid movies rolling across her mind. She is the author of the 5-book Son of God Series, a writer who grounds her fast-paced fictionalized account of the life of Jesus in Biblical studies, historical research, and personal experience. Her own experiences, the times when heaven has supernaturally stepped into her life, allow her to write this Biblical story with the authority of someone who has come face to face with the spiritual forces of Good and Evil. Sharon is a graduate of Washington Adventist University (formerly Columbia Union College). She is a retired teacher with 37 years of classroom experience, elementary through middle school. As a retiree, she continues to teach in the church setting and has found that both adults and teenagers who read The Son of God Series are captivated by her fresh and relatable retelling of the Gospel account. She is an active member of a Messianic Jewish Congregation. GIVEAWAYS Addresses and emails collected for giveaway purposes will never be sold or shared, with the exception of passing on information required for authors or publishers to send a prize.